New bill would ensure over 39 million Californians have protections as strong as those repealed by the FCC late last year. This morning California State Senator Scott Wiener introduced California Senate Bill 822, which would ensure Californians enjoy net neutrality protections as strong as those repealed by the Republican-controlled Federal Communications Commission (FCC) in December. The bill, which is being commended by experts, ensures that Internet service providers (ISPs) operating in the state of California will be prohibited from blocking content, slowing certain sites or services, or charging new fees for users and companies to reach audiences online. It also bans harmful “zero rating” practices that benefit large incumbent companies while harming innovation. “It’s amazing to see more and more states join the fight for net neutrality, and help fill the massive hole left by the FCC’s reckless repeal. Today’s news from California shows that constituents in the country’s most populous state are deeply concerned about the loss of real net neutrality protections. 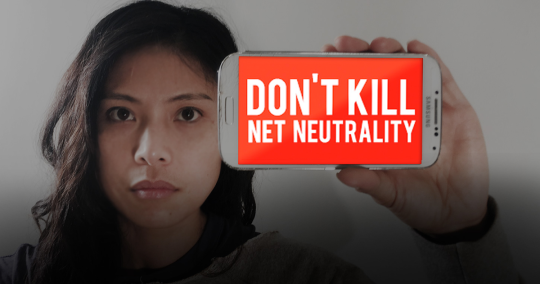 The fact that state lawmakers have drafted such comprehensive net neutrality protections should send a strong signal to members of Congress who will soon vote on a Congressional Review Act (CRA) resolution to block the FCC’s December repeal. Full text of SB-822 Communications: broadband Internet access service. Statement from Stanford Professor Barbara van Schewick. SF Chronicle: Wiener unveils revamped, “aggressive” net neutrality bill. Fight for the Future: These states are fighting for net neutrality. Is yours one of them?